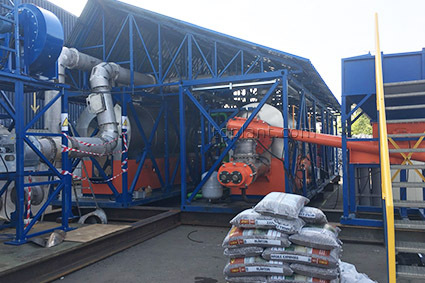 Industrial site of Wiederkehr Recycling AG (Switzerland) successfully held the second stage of continuous pyrolysis plant TDP-2-200 commissioning. The pilot run of the plant was carried along with C65 (65 kW) Capstone microturbine. Thermal Decomposition Plant equipped with power generator operating on produced pyrolysis gas presented the maximum declared capacity. 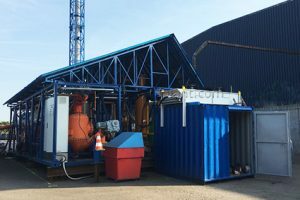 The first stage of commissioning was held in June 2018 – the marketable products (pyrolysis fuel, synthetic gas and dry residue) obtained within sawdust processing matched stated specifications. TDP-2-200 plant designed for automotive shredder residue (ASR) treatment were modernized and supplemented by gas cleaning system and complies with European Environmental Directives.